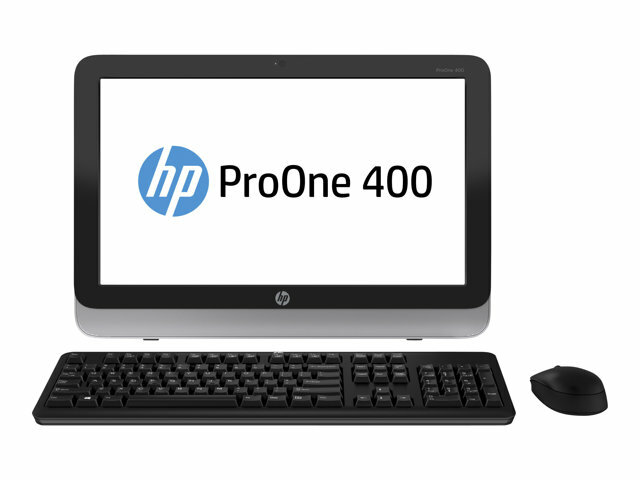 HP ProOne 400 G1 All In One PC 19.5" Display Intel Core i5-4590T, 8GB, 180GB SSD. Stay up and running. HP BIOS protection offers enhanced protection against virus attacks to the BIOS and other security threats, and is designed to help prevent data loss and reduce downtime. Keep sensitive information in safe hands. HP Trust Circles protects your data by ensuring that only approved contacts can access critical files. 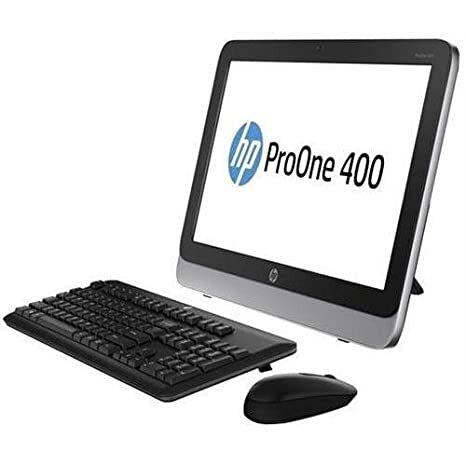 Take advantage of the stylish, progressive and space-saving All-in-One design thats the perfect fit for your business. Look smart and work smarter, thanks to a stylish design offering an easel stand for placement on your desk or VESA capabilities for wall mount. Keep all your work in plain sight. Be up to 35% more productive by adding an external monitor with DisplayPort. ENERGY STAR® qualified configurations. Its designed with the environment in mind. Cruise through tasks easily and efficiently with the latest processor technology. Robust memory and a powerful chipset supports the Intel® CoreTM 4th Generation processor. Easily share your internet connection with up to five devices with HP Wireless Hotspot. Connect your smart phone or tablet or help colleagues get online and improve productivity. Coast through your task list thanks to Windows 10 and HP. Enjoy a new user experience that includes intuitive and simple software applications like HP ePrint. Simple and effective video and audio conferencing10 is easy with this Skype ready AiO with integrated video camera, microphone and DTS Sound + to provide crisp clear audio.